One of the many great things about CW's The Flash are the remarkable special effects. It's been amazing to watch big screen quality effects on a television budget. Just turning Grant Gustin into the Flash takes a lot of work and imagination. CW has released a behind-the-scenes video about what it takes to bring all the extraordinary action to life. Executive producer Gabrielle Stanton and Visual Effects Supervisor Armen Kevorkian discuss the process behind the visual effects of the show including Gustin's facial scanning and making Atom Smasher grow into a massive giant. Also, the work involved bringing Grodd to life for the first time in live-action. The Flash returns to the CW for season two on October 6. 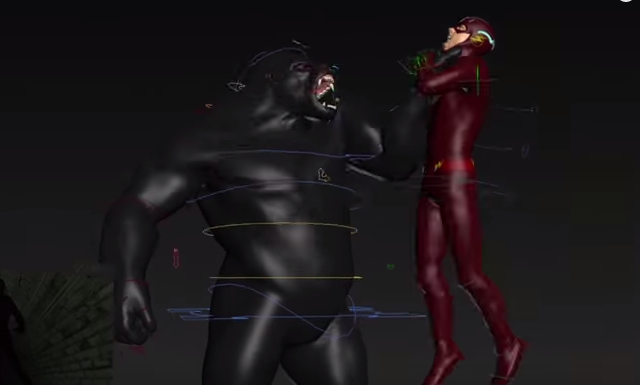 Find out how much work it takes to animate the fastest man alive with The Flash's visual effects supervisor, Armen Kevorkian.